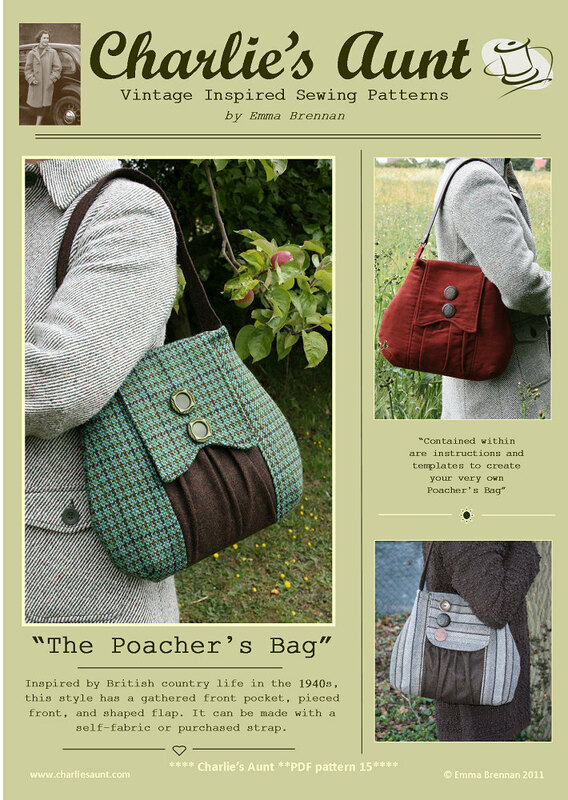 Inspired by British country life in the 1940s, the Poacher’s Bag has a gathered front pocket set into a pieced front. 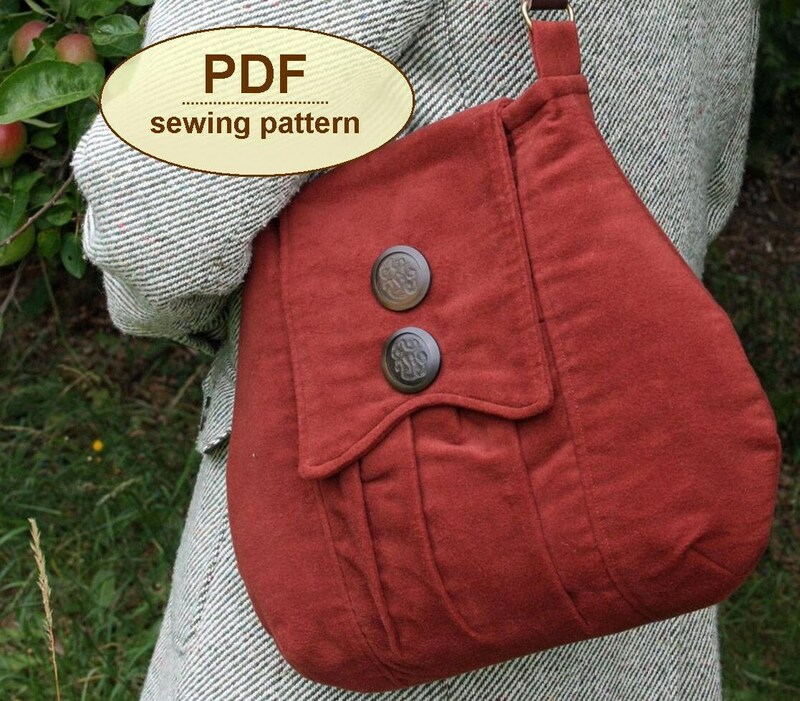 It features an unusual shaped flap and a template for an interior pocket that doubles as an alternative flap option. 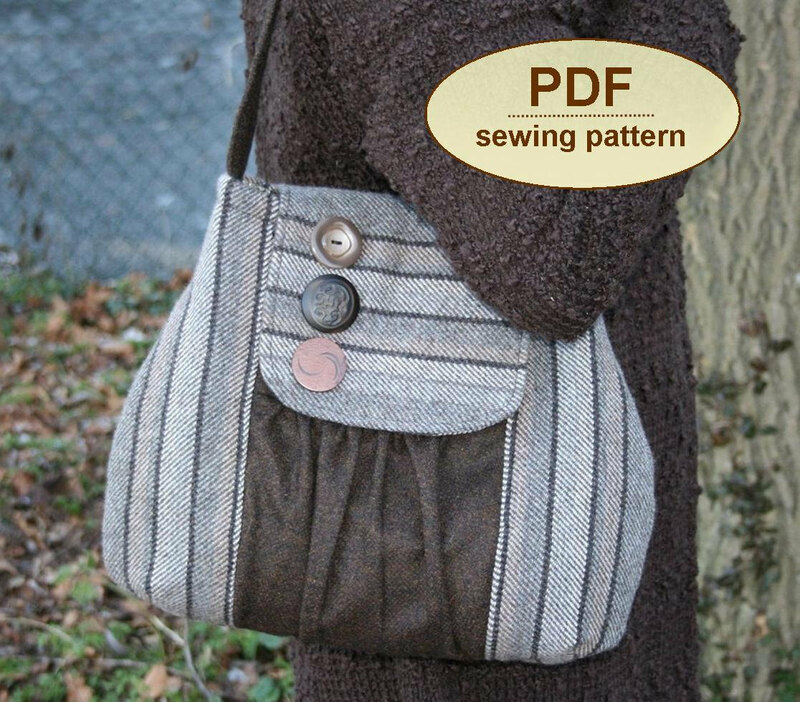 This style can be made with a self-fabric strap, or a purchased leather strap attached with tabs. It makes up well in everything from cotton moleskin and tweed to contrasting patchwork fabrics for a different look. 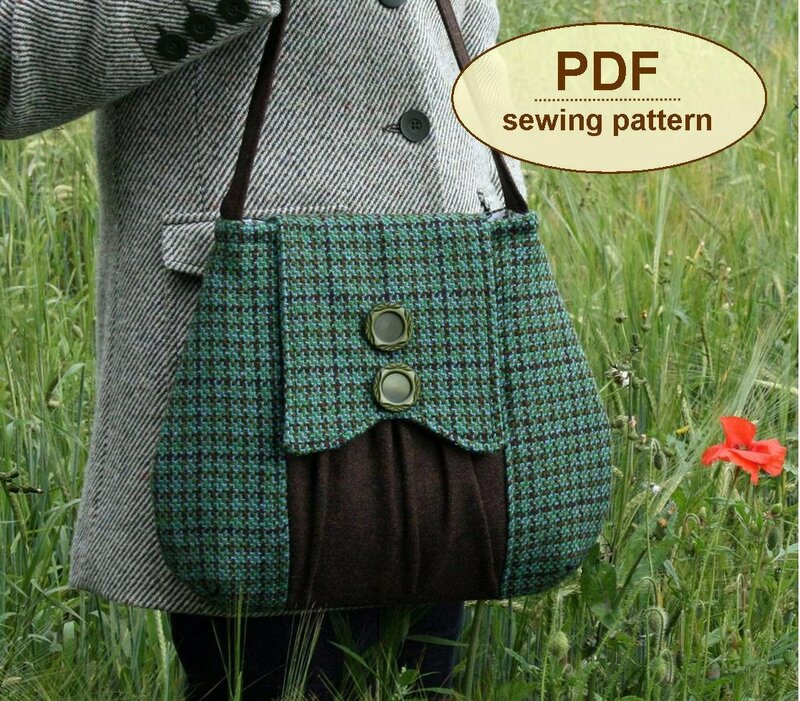 Finish the retro homespun feel with mismatching vintage buttons. 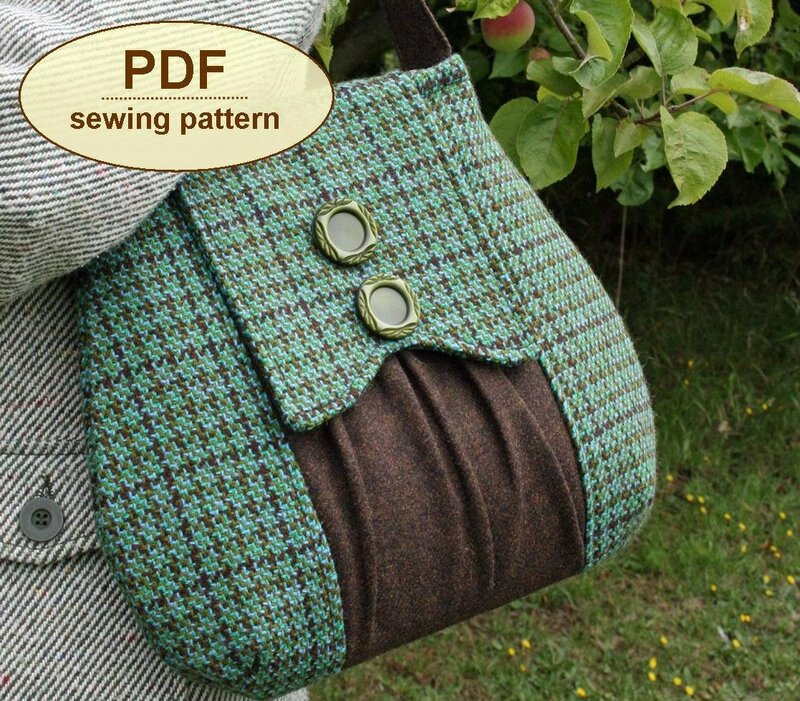 The Poacher’s Bag pattern has 16 pages – 8 pages including photographs, detailed step by step instructions and illustrations, plus 8 pages of full sized pattern templates which you must print on letter (A4) paper and cut out. All templates are actual size but many of the pieces are too big to fit on one sheet so you will have to tape them together after you have cut them out. Instructions for this are clear.